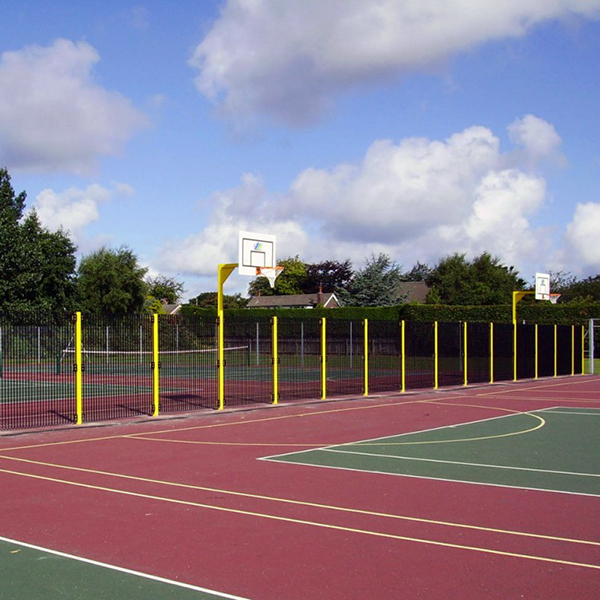 Looking for a School MUGA? 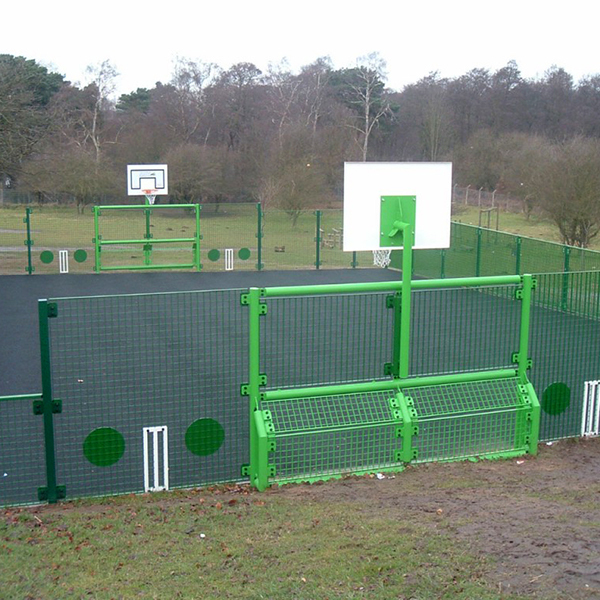 AMV Playground Solutions have manufactured and successfully installed hundreds of School MUGAs all over the UK. 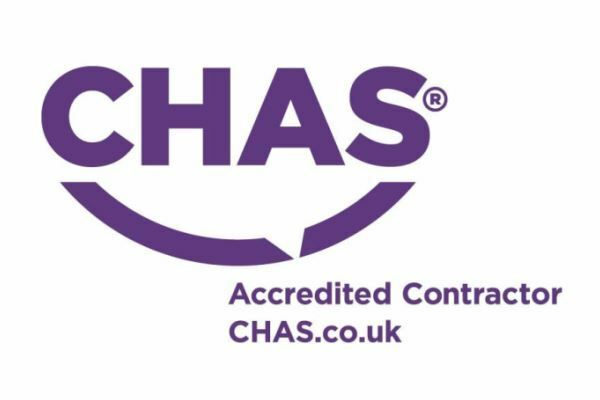 We have built up an unrivalled reputation for quality, trust and reliability within the UK schools & education sector over the last 30 years. 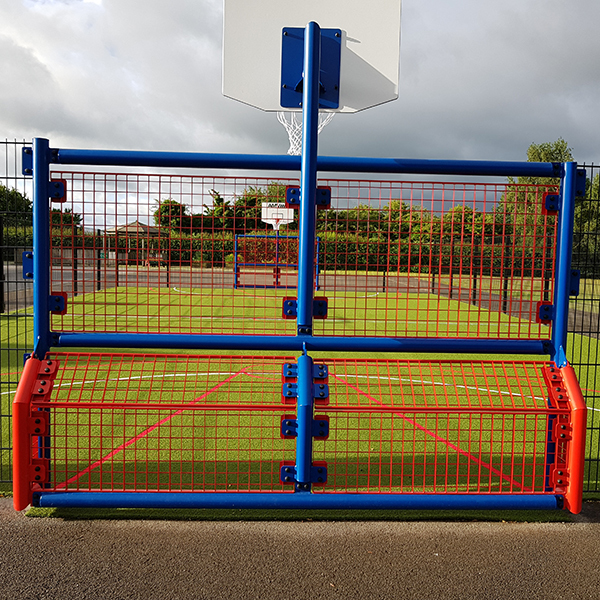 Our vandal resistant, heavy duty school MUGAs and multi-functional goal ends are widely recognised as the benchmark of quality and excellence within the sports & play industry, with the longest warranty in the market. I have absolutely no hesitation in recommending AMV products for use in the school environment due to their superior design and build quality at an extremely competitive price. 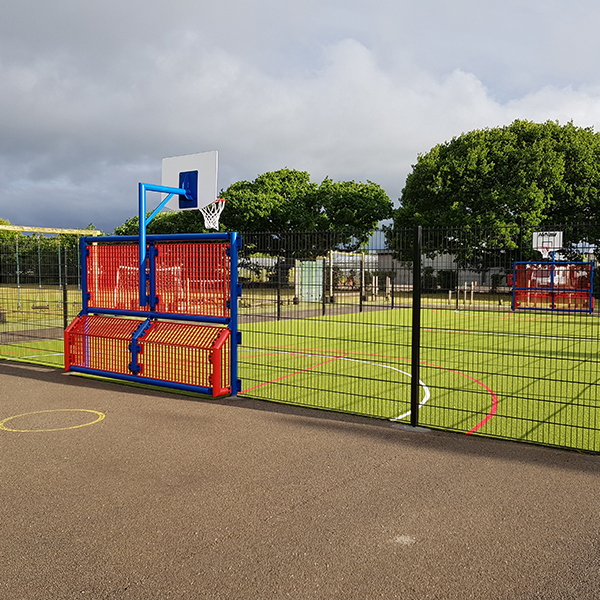 The MUGA is of an exceptional quality, very strong, colourful and has thoroughly enhanced our outdoor play. 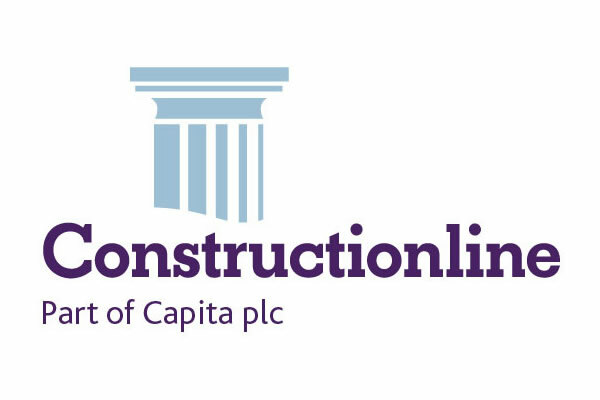 From the initial site survey and design stage (where we provide 3d visuals for your scheme at no cost), right through to the project management of groundworks, surfacing and steelwork installation, AMV are here to provide our experience and industry know-how at every stage of your project, to ensure a high quality end result with the minimum of fuss. 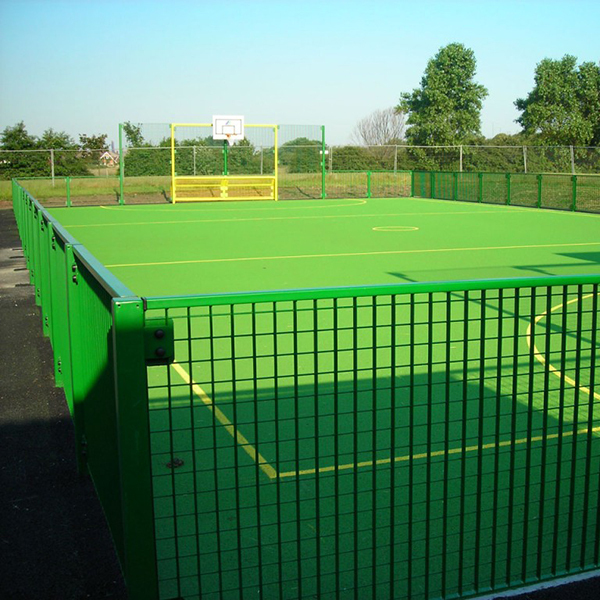 AMV can assist with the best possible layout for your MUGA in order to facilitate the required number of various sports. 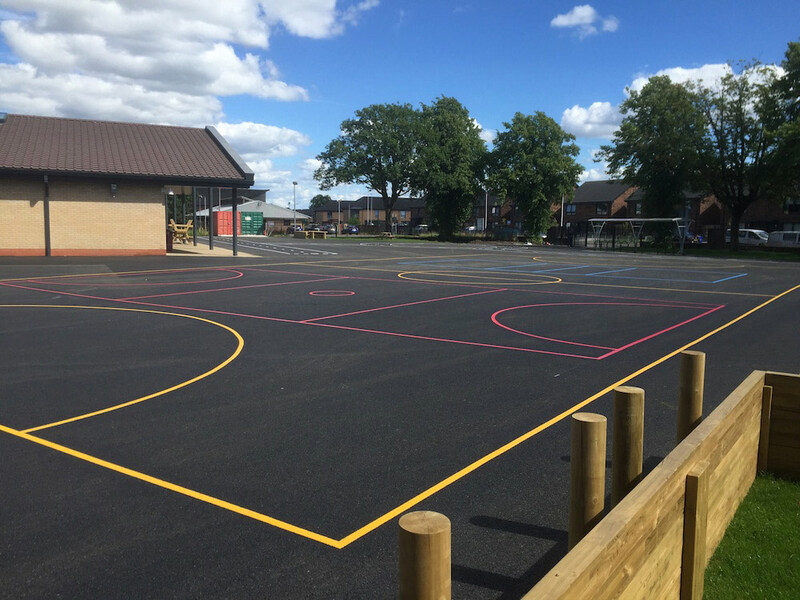 Clearly coloured thermoplastics markings can cater for football, netball, basketball and tennis all within one dedicated multipurpose space, providing maximum value and engagement for your new MUGA court. 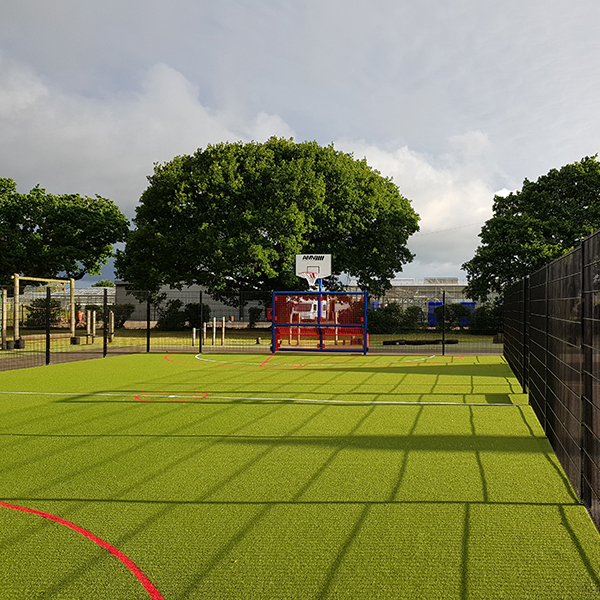 AMV can also help with advice on the appropriate specification of artificial grass for your outdoor sports zone, whether that is a full 3G pitch needed for competition standards or a more cost effective solution for a less demanding casual kick around. 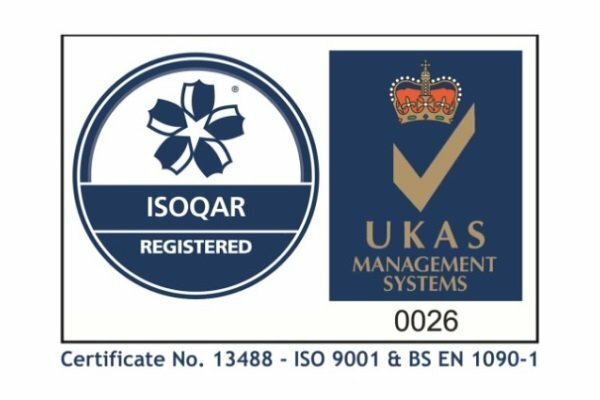 The one aspect that sets us aside from all other engineering companies in this sector is our uncompromising commitment to the very highest standards of quality in all aspects of our work. © AMV Playgrounds 2018 - All images on the website are not to be copied or used without appropriate permissions.